Plugin: sức mạnh của Gedit | Will be open source ! Như Firefox, Gedit được bổ xung thêm rất nhiều plugin chính thống hoặc từ các nhà phát triển thứ 3. #Code Comment: Đánh dấu ghi chú bằng phím tắt. #Change case: Changes the case of selected text. #Document Statistics Analyses the current document and reports the number of words, lines, characters and non-space characters in it. #Indent: Indents or un-indents selected lines. #Modelines: Emacs, Kate and Vim-style modelines support for gedit. #Python console: Interactive python console standing in the bottom panel. #Sort: Sorts a document or selected text. #Spell: Checks the spelling of the current document. #Tag list: Provides a method to easily insert into a document commonly used tags/strings without having to type them. Ctrl + Alt + PageUp : Switches to the next tab to the left. Ctrl + Alt + PageDown : Switches to the next tab to the right. Ctrl + W : Close tab. Ctrl + Shift + L : Save all tabs. Ctrl + Shift + W : Close all tabs. Alt + n : Jump to nth tab. Ctrl + N : Create a new document. Ctrl + O : Open a document. Ctrl + L : Open a location. Ctrl + S : Save the current document to disk. Ctrl + Shift + S : Save the current document with a new filename. Ctrl + P : Print the current document. Ctrl + Shift + P : Print preview. Ctrl + W : Close the current document. Ctrl + Q : Quit Gedit. Ctrl + Z : Undo the last action. Ctrl + Shift + Z : Redo the last undone action . Ctrl + X : Cut the selected text or region and place it on the clipboard. Ctrl + C : Copy the selected text or region onto the clipboard. Ctrl + V : Paste the contents of the clipboard. Ctrl + D : Delete current line. F9 : Show/hide the side pane. 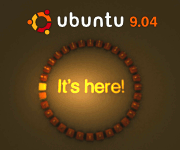 Ctrl + F9 : Show/hide the bottom pane. Ctrl + F : Find a string. Ctrl + G : Find the next instance of the string. Ctrl + Shift + G : Find the previous instance of the string. Ctrl + K : Interactive search. Ctrl + H : Search and replace. Ctrl + Shift + K : Clear highlight. Ctrl + I : Goto line. Shift + F7 : Check spelling (with plugin). Alt + F12 : Remove trailing spaces (with plugin). Ctrl + T : Indent (with plugin). Ctrl + Shift + T : Remove Indent (with plugin). F8 : Run “make” in current directory (with plugin). Ctrl + Shift + D : Directory listing (with plugin). Bài viết tổng hợp nhiều thật. 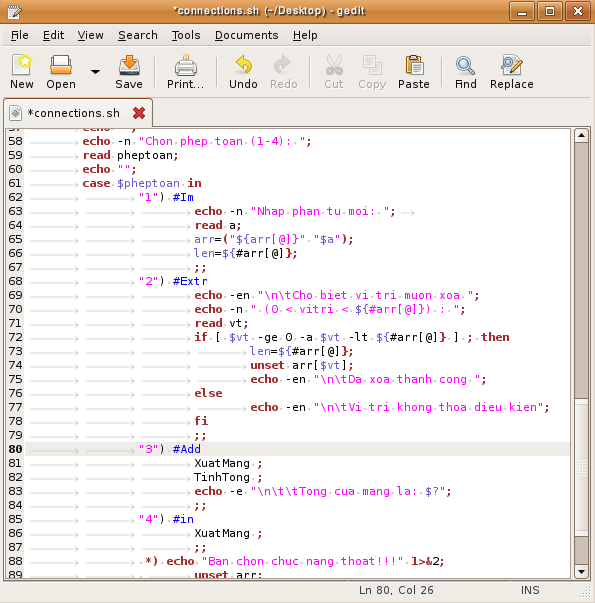 Có thêm plugin thì gedit cũng khá mạnh. Cám ơn bạn nhiều.